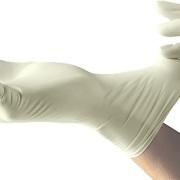 Budev is proud to announce that Sempermed, one of the worlds most renowed manufacturers of medical gloves, introduced their new examination glove Sempercare® – PURE during Medica 2013. By application of MPXX™ allergens and chemical residues are reduced to unquantifiable levels. “Such results demonstrate the efficiency of MPXX™ treatment and are clearly establishing, for the first time, that it is possible to produce gloves virtually free of chemical residues and hence fight the ever growing irritant contact dermatitis caused by gloves”, states Michiel Paping CEO of Budev BV. Please visit us at Medica in Hall 5 / G10 and learn more about our revolutionary MPXX™ products.